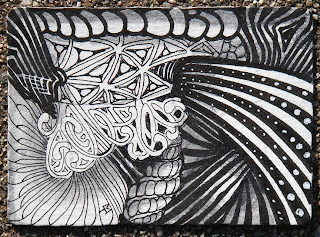 We just sent out a newsletter announcing the opening of registration for our Certified Zentangle Teacher (CZT) training seminar on February 21-24, 2012 at Hotel Providence in Providence, Rhode Island, USA. This is such an exciting event for us and all who attend. 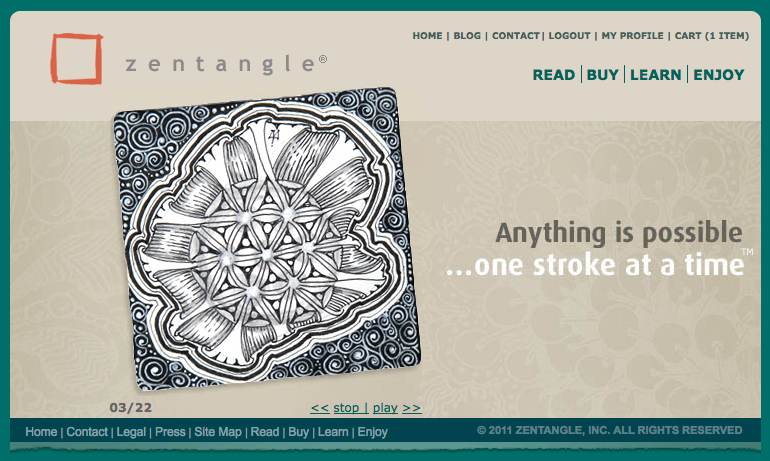 It's a time to have fun, make lifelong friends, get deep into what Zentangle is all about . 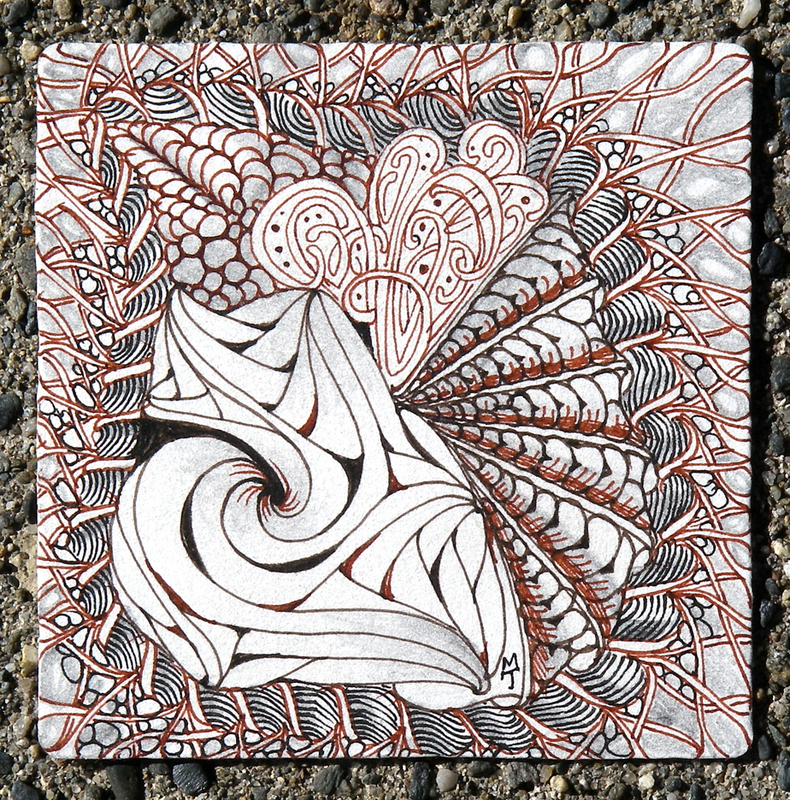 . . and learn how to earn gratitude and income by teaching the Zentangle method. If you are wondering what this is all about, you can learn more on this page. We are using an online registration system this time and you will find instructions in this newsletter. Click image for larger view of Hotel Providence chandelier. Spraining your wrist kinda knocks the wind out you. I keep thinking I should be able to do (seemingly) simple things, but then I realize it was dumb to even try. So I decided to tangle left-handed for a while and "feel the burn," as in a "difficult exercise!" 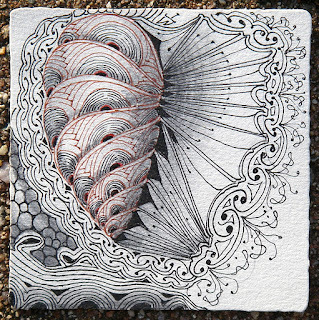 I slowed down and appreciated and understood the intimidation some people have when they first start tangling. Their comments are often, "No way can I EVER do this!" And now here I'm saying, "No way can I draw with my non-dominant hand!" But, after all is tangled and done, I realize as long as my shaking is consistent throughout my tangling, it all looks pretty darn cool! 'Tis (almost) the season . 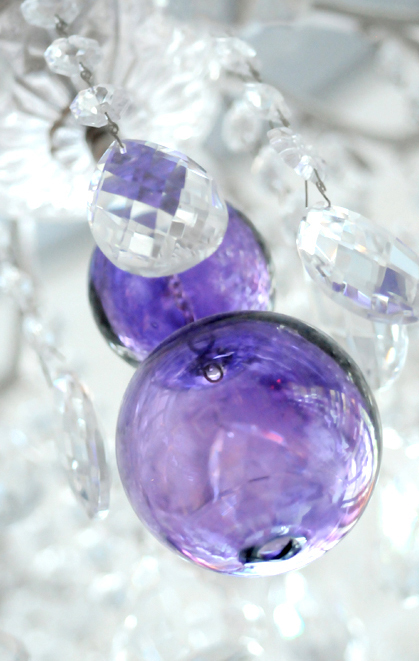 . .
Well, it's always a good season, as that song goes, "to be jolly." And this is also a good season to tell you about some new goodies that we've been holding back on until our new website went online. 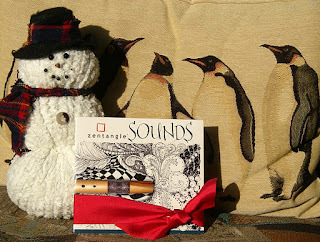 We (along with Snowman and assorted penguins) are happy to introduce a compilation CD of Native American style flute music, called Sounds. This CD includes all the songs on our instructional DVD in our Zentangle Kit plus enough more songs to make it about an hour long. Rick used to make Native American style flutes. 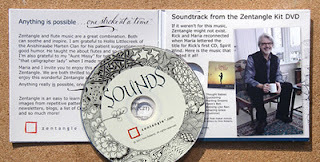 This CD is Rick playing flutes that he made. Sounds is a great accompaniment for creating Zentangle art and it's a great gift. 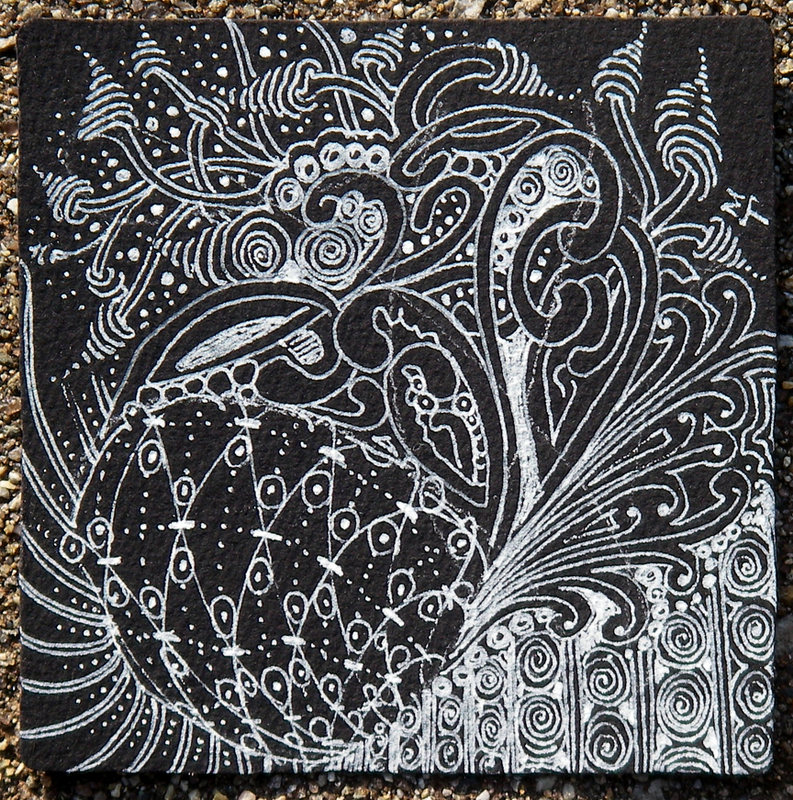 In case you missed it in our recent newsletter, we have also introduced black Zentangle square tiles and ATC sized Zentangle tiles (3.5 x 2.5 inches) in both white and black. 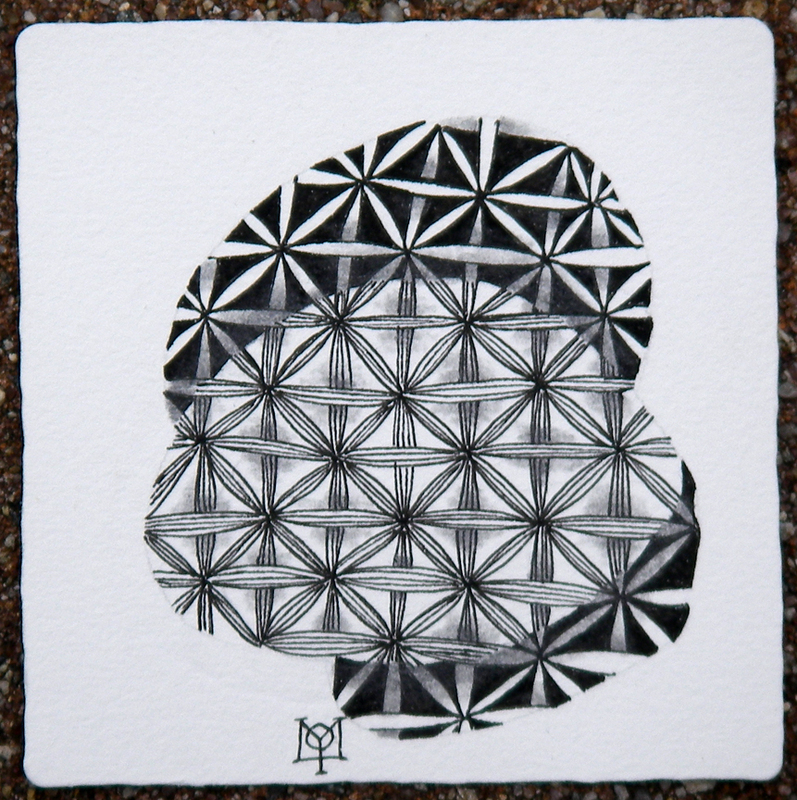 To tangle on our black tiles we offer white Sakura Gelly Roll® pens and white charcoal pencils. 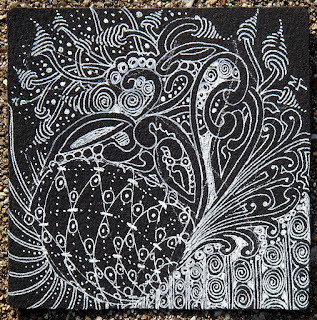 In this example above, see how Maria uses her white Gelly Roll® on top of black ink on this white ATC size Zentangle tile. It's a fun exploration that these new tools make possible. 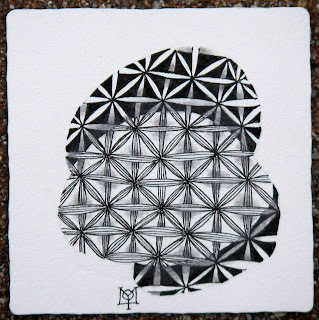 And in this example above of white ink on a black tile, she just had a blast. Look what I did!! This is for an MG fund raising auction to be held in Athens, GA. It was fun and has more than 25 different variations of patterns! I'm very proud of myself as you can tell! 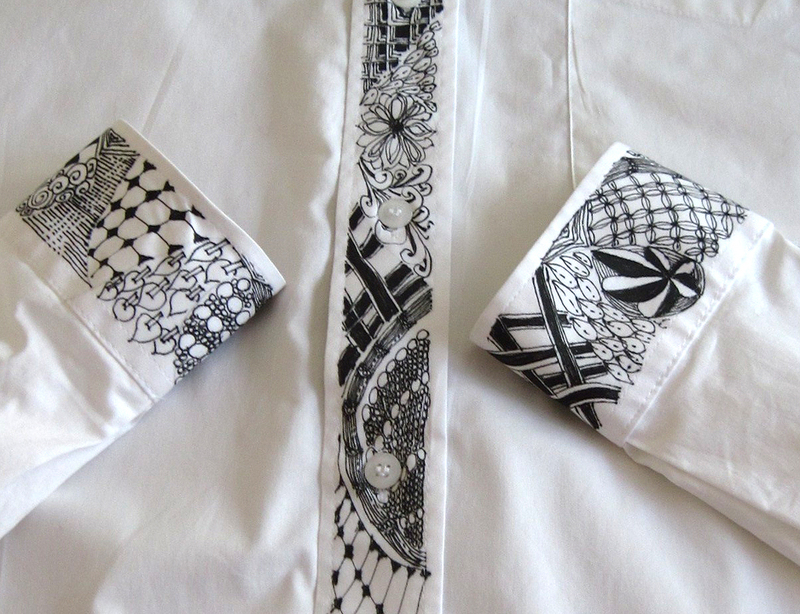 Six artists were given white cotton shirts to re-create for the auction. It's this weekend and I hope it is a good fundraiser! Jeannie suggested she send it to us. We're glad she did. Molly came up with a new tangle that we call fife. We give instructions for it in this newsletter. 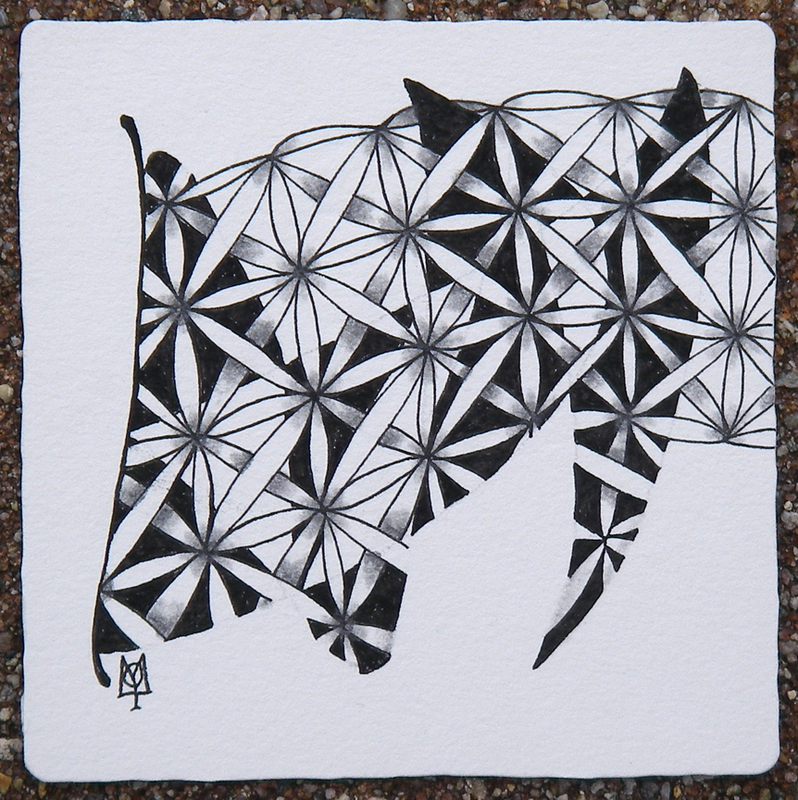 Here are some of Molly's Zentangle tiles which show what you can do with fife. Thanks, Molly (and Indy) for that wonderful collection! 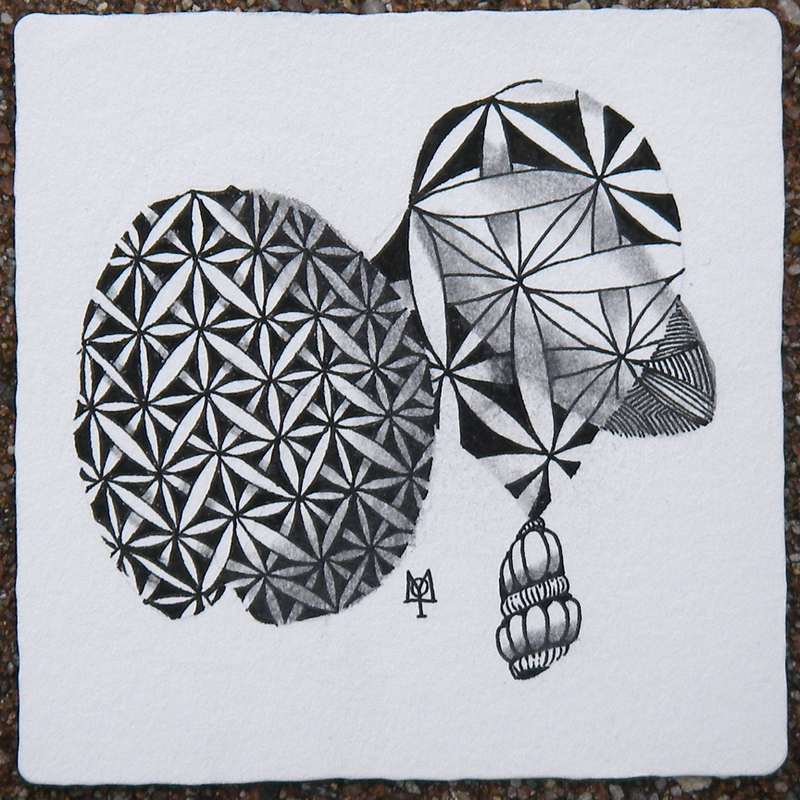 There's much more to read in this newsletter, so please take a look if you haven't already. Today we have switched over to a new website. Although it has a similar look as our previous site, its underlying structure has been completely rewired. Imagine someone totally replacing the plumbing and wiring in a house. It may not look different, but behind its walls and underneath its floors everything is changed. And just like that house, the address didn't change . . . it's still zentangle.com. We have a new and increased appreciation for well designed and smoothly functioning websites. We are grateful to Artifextech and their web development team. This new site works because they are really good at what they do. 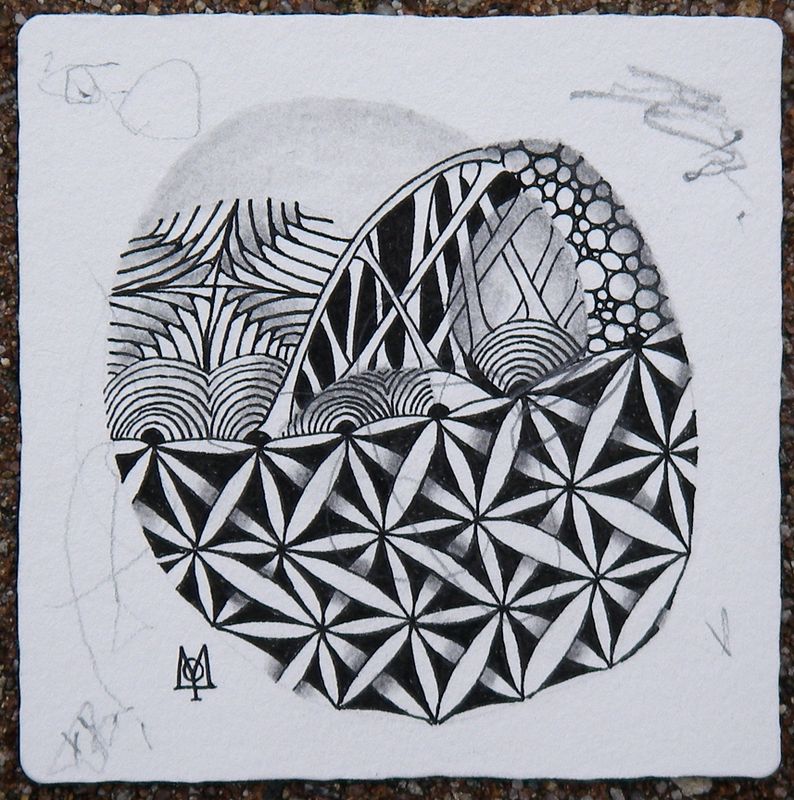 They are also fine people who have been to our home and studio and appreciate what Zentangle is all about. As you can see, we've kept the same layout and colors, but we've reorganized the structure, added features and laid a foundation for growth and development. We've been testing things for a couple months now with our CZTs and we've cleaned up quite a few glitches. We expect that you will find some more things that will need fixing or could be improved. Please feel free to comment about them here on this blog or email us. If you email us, we ask your understanding in possibly not getting a reply. We do read and appreciate everything, but the volume of mail is such that, much as we'd like to, we don't always get to answer every email. Thank you for playing with us on this wonderful Zentangle adventure. Enjoy our new website and please let us know if there's anything that needs fixing. Sometimes it can take a while to propagate the new address pointers throughout the world wide web. So if you don't see the new site right away, keep checking. 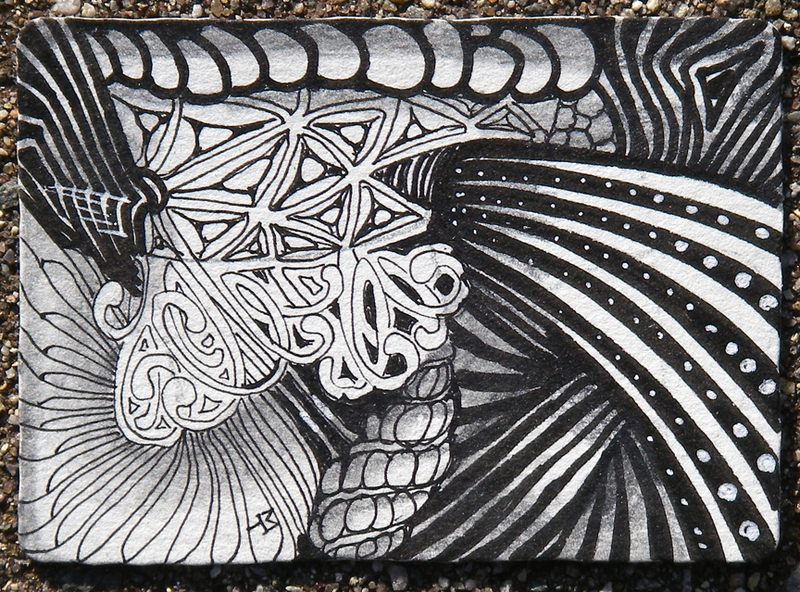 I think there exists in every tangler's repertoire, one, or maybe two or three, "comfort tangles" . 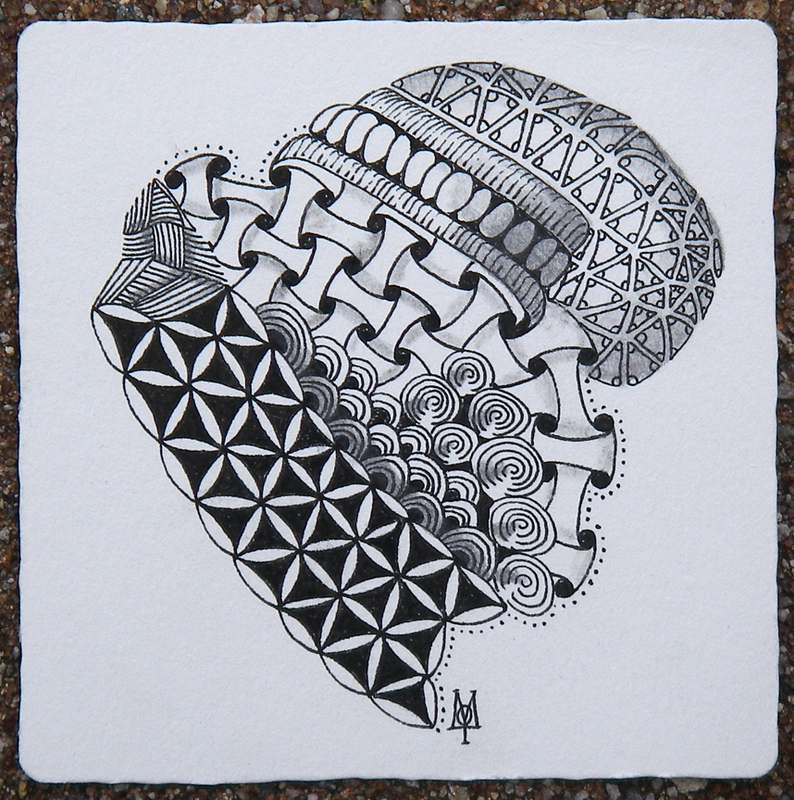 . . a Zentangle version of mac & cheese, chicken soup or chocolate chip cookies . . . that, just the very image of them brings on a sense of well-being. 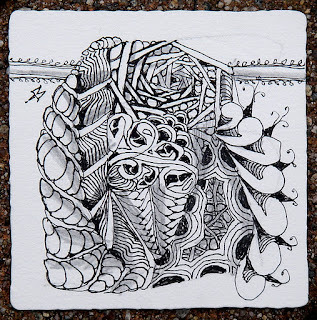 Drawing the same tangle over and over, is not only a great exercise, but it also inspires us to maybe tweak it a bit each time so that it morphs into a more personal expression. These comfort tangles are great for those, "I don't want to think about ANYTHING!" moments. I recommend always keeping one or two comfort tangles in your mind's cupboard, ready to serve at a moment's notice whenever you need them. 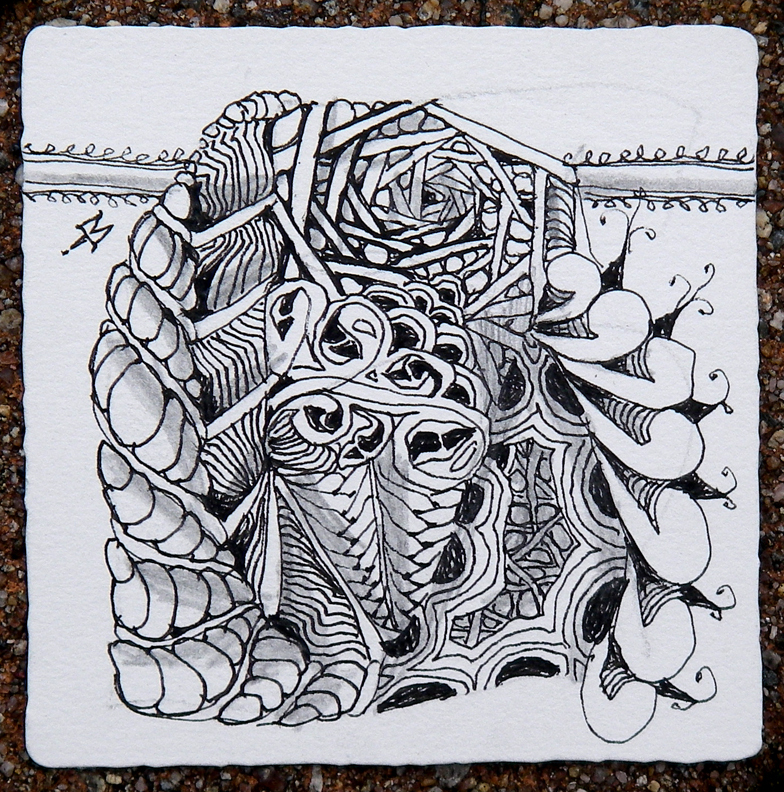 What are your comfort tangles? 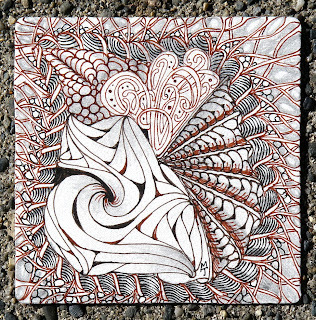 Click image for larger view and to appreciate the play of early morning fall sun on this tile. Thank you all for your support, messages and understanding while we attended to the passing of my mom. Services were yesterday and it was a beautiful blue sky day here. She would have loved it. Molly came by this morning to visit with Indy. 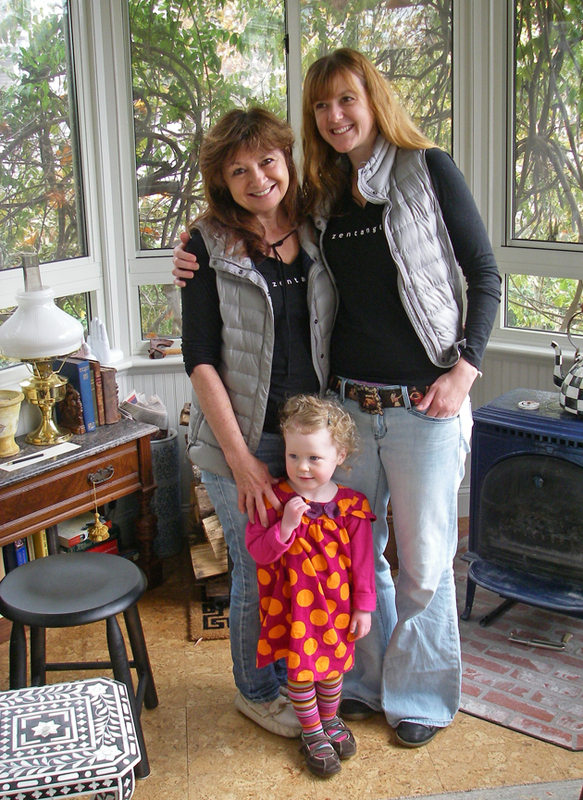 Molly and Maria had randomly dressed exactly the same way with jeans, a grey vest and our long-sleeve light-weight Zentangle "hoodie." Indy, however, either didn't get the memo or chose to ignore it! We'll be adding these hoodies to our store soon after our new website comes online. 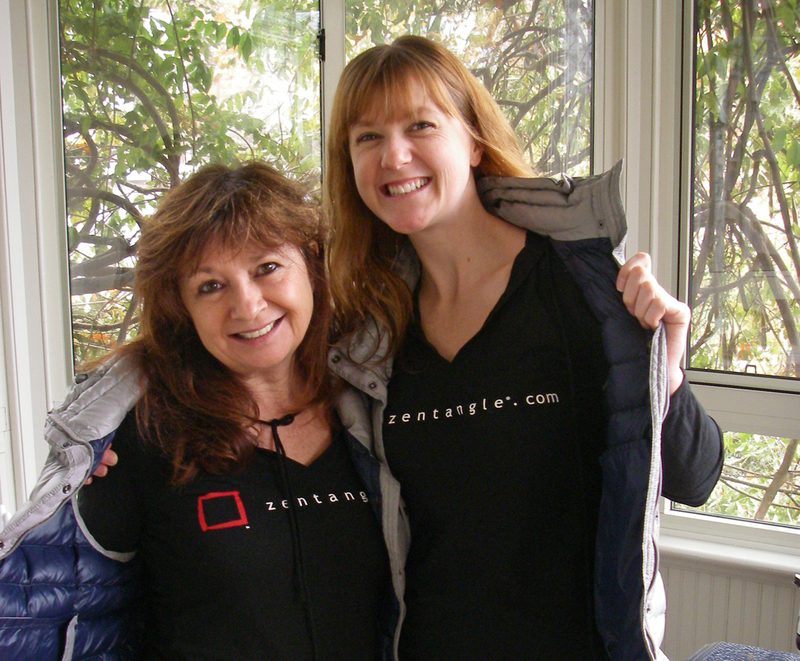 We made these for staff to wear at our recent CZT seminar and everyone wanted one, so were going make some. They're high quality bias-cut jersey with red and white printing. Speaking of new websites, we've been working on our new website and although events delayed our schedule a bit, we're looking to go live next week. It wouldn't be a surprise if we discover some things that need fixing. So we ask in advance for your patience and also for your comments as you surf through it. Maria and I haven't been blogging much these last couple weeks because we're spending time with my mom who's not well. 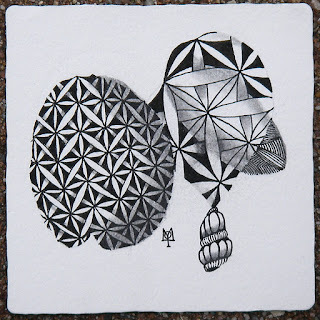 We did have time to read the amazing comments on Laura Harms' blog celebrating her 200,000th hit. 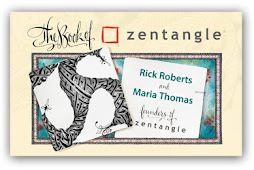 In celebration, Laura is giving away some wonderful gifts to a random few who will be selected from those who answer, "How has Zentangle enhanced YOUR life?" If you haven't had a chance yet to visit (or post) there, please do. 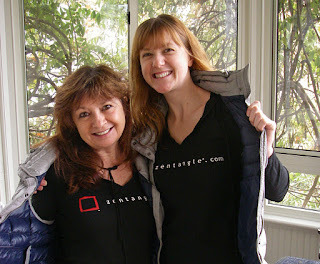 You will read an amazing collection of stories and comments. We have a new website ready to roll. It was scheduled to go "live" on Monday, but it may be delayed by a couple days due to our changed schedule. 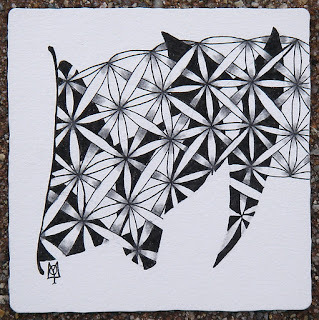 When we contemplate our Zentangle journey and all the friends we have made and will make, there are no words to express what we feel, but gratitude fits best.